IAF says Pakistan has made false claims ‘to cover up’ for the loss of its own aircraft in the dogfight on 27 February, which it insists was an F-16. 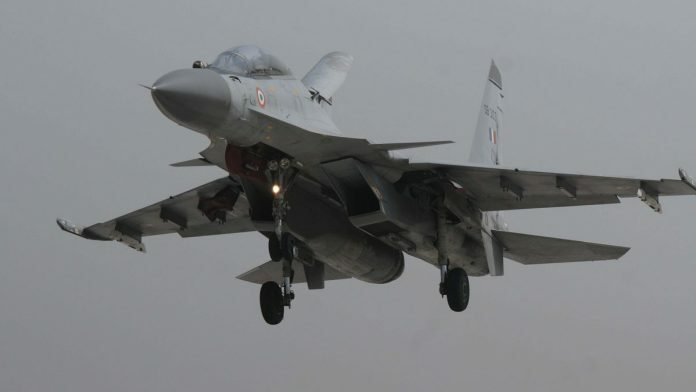 New Delhi: The Indian Air Force Tuesday dismissed Pakistan’s claim that it had shot down a Sukhoi Su-30MKI aircraft on 27 February, and asserted that it had shot down an F-16 fighter of the Pakistan Air Force. In a written statement, the IAF said on the morning of 27 February, its air defence system was on full alert. “(The) build-up of PAF aircraft on their side of the LoC was noticed in time and additional aircraft were scrambled to tackle the adversary,” the IAF statement read. It added that PAF aircraft were engaged effectively in their attempt to attack Indian ground targets. From the IAF side, Mirage 2000, Su-30MKI and MiG-21 Bison aircraft were involved in the engagement. The PAF aircraft were forced to withdraw in a hurry, which is also evident from large missed distances of the weapons dropped by them, the statement said. “During combat, use of F-16 by PAF and multiple launches of AMRAAM were conclusively observed. Prompt and correct tactical action by Su-30 aircraft, in response to AMRAAM launch, defeated the missile,” it said. Parts of the missile fell in area east of Rajouri in J&K, injuring a civilian on ground. A detailed report in this regard has already been released by IAF. “All the Su-30 aircraft engaged in combat landed back safely. False claim by Pakistan of shooting down a Su-30 appears to be a cover up for loss of its own aircraft,” the IAF said. Addressing a joint press conference of the three armed forces on the South Block lawns outside the Ministry of Defence on 28 February, IAF officials had showed parts of an ‘AIM-120’ Advanced Medium-Range Air-to-Air Missile (AMRAAM) that was fired by Pakistani fighter jets. While Pakistan had claimed that the JF-17, jointly manufactured with China, was used in the air strikes, the fact is that the AIM-120, manufactured by US firm Raytheon, cannot be fired from that aircraft. The director-general of Pakistan’s Inter-Services Public Relations (ISPR), Major General Asif Ghafoor, had said F-16s were not used in the entire operation, and no Pakistani fighter jet had been hit. He had also claimed that a SU-30 MKI fighter of the IAF had been shot down along with the MiG 21 Bison.